According to Phyllis Balch in her book, “Prescription for Nutritional Healing,” varicose veins and spider veins develop from one or a combination of different reasons. Heredity, poor circulation and the use of birth control pills are at the top of the list. Pregnancy, a sedentary lifestyle and obesity also contribute to their development. Although not painful like varicose veins, spider veins are often considered a cosmetic annoyance. Traditional medical treatment for spider veins either means a laser treatment (which can be painful) or sclerotherapy, which involves the injection of a toxic solution into the vein to shut it down. Thankfully, there are several herbal options you could try before you opt for a costlier procedure. According to Phyllis Balch, Traditional Chinese Medicine offers herbal solutions for spider veins which are accompanied by painful varicose veins. Herbs which include xho yi hua (magnolia flower), huang qin (Baikal skullcap) and bai zhi (wild angelica) may all be useful in alleviating associated symptoms. 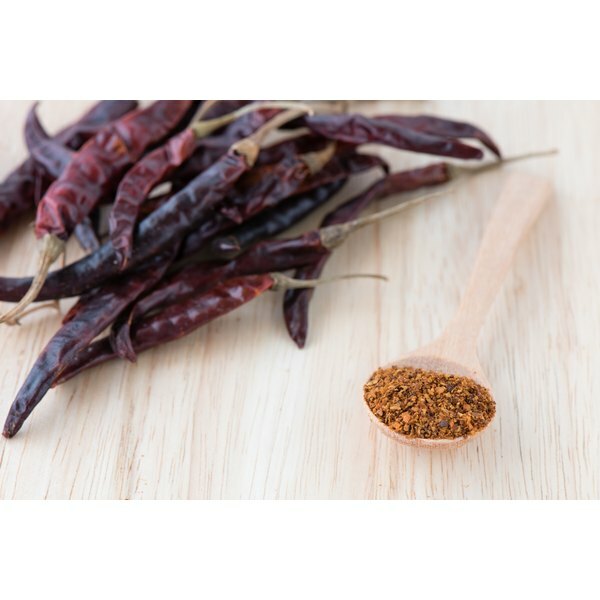 Cayenne is gaining recognition for its ability to boost the circulation of blood throughout the body. This is especially useful for those with spider veins, which are essentially tiny capillaries that have filled with stagnant blood that has leaked from a surrounding vein. Taking cayenne internally helps to expand these blood vessels and increases their efficiency, thereby reducing stress on the surrounding capillaries. Most notably useful for its eye-strengthening abilities, bilberry herb is also useful for the treatment of spider veins. Bilberry herb works by strengthening capillary walls and the connective tissue surrounding the veins, according to Balch. There are several other herbs Balch lists as useful for improving circulation throughout the veins in the legs. These herbs include butcher’s broom, ginkgo biloba, gotu kola and hawthorn berries. What Herbs Are Good for Circulation in the Veins?